Ownership / Access: Convalescent home. Not open to public. Notes: Netley Castle is a former artillery fort constructed in either 1542 or 1544 by Henry VIII in the village of Netley, Hampshire. It formed part of the King's Device programme to protect against invasion from France and the Holy Roman Empire, and it defended Southampton Water near the Solent. The castle included a central, stone keep with two flanking gun platforms and was garrisoned by ten men. It was decommissioned during the English Civil War and by 1743 it was overgrown and in ruins. 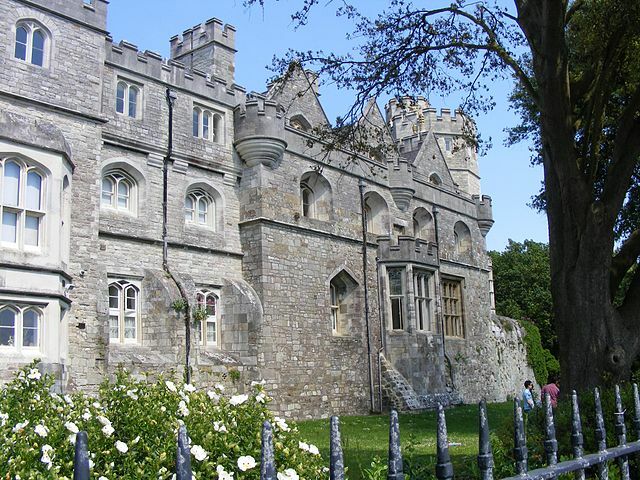 In the 19th century the property was gradually converted into a private house, being extended in a Gothic style, complete with octagonal towers. Between 1939 and 1998 it was used as a nursing home, until the high costs of maintenance led to its closure. Following an archaeological survey, it was then converted into nine residential flats. It is protected under UK law as a Grade II* listed building.